Aldea Services LLC is your expert resource for design and construction management of heavy civil underground projects. Aldea offers expertise in management and delivery of projects through all phases from planning to delivery. Let Aldea’s leadership and experience work for your team. The principals of Aldea Services are at the forefront of the underground construction industry. 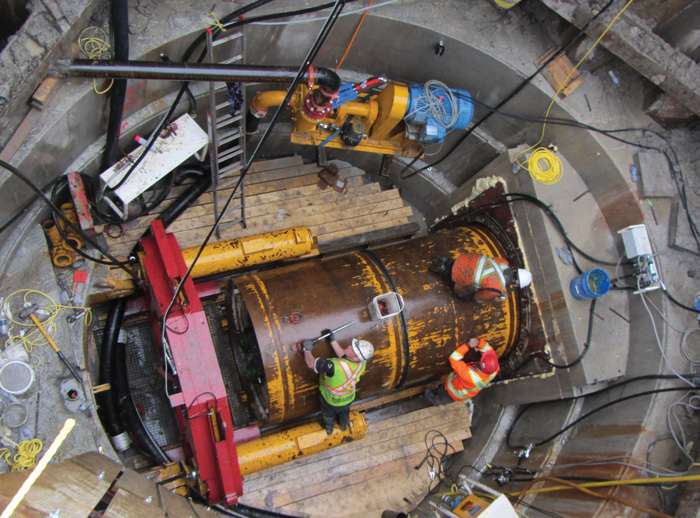 Whether the functional purpose is water, wastewater, cable conduit, gas pipeline, transit or highway; we have been planning, designing, and constructing tunnel projects for over 20 years. We are effective in working with any number of issues due to our experience on projects around the world. Our experts have specialized expertise with bored and mined tunneling; New Austrian Tunneling Method (NATM) for soft ground and hard rock; trenchless technology; shaft design; ground improvement; geotechnical instrumentation; foundation design; structural design; and contract document preparation. Applying engineering excellence to develop the lowest risk, best technical solutions to underground design.